It sound like a great deal, almost too good to be true. 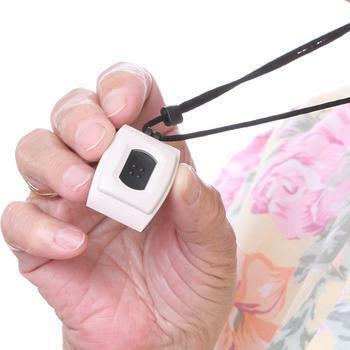 Robocallers told seniors that a relative or friend had purchased a medical alert device for them, a sales pitch that the Federal Trade Commission's Jessica Rich says was "100 percent false." The FTC and the Florida Attorney General are seeking a court order that would permanently bar the promoters of the scam. In the meantime, a U.S. district court has ordered the scheme halted and has frozen the assets of the Florida group allegedly responsible. “They lied about the product, about whether health organizations had endorsed it, and about its cost. And all the while, their M.O. was to take advantage of older people's concerns about their health. We're so glad to work with our partners in Florida to stop this fraud,” Rich said. Many of the consumers who received the defendants’ calls were elderly, live alone, and have limited or fixed incomes. Consumers who pressed one on their phones for more information were transferred to a live representative who allegedly continued the deception by saying that the medical alert systems are recommended by the American Heart Association (AHA), the American Diabetes Association (ADA), and the National Institute on Aging (NIA). In addition, the telemarketers falsely stated that the monthly monitoring fee for the system will be charged only once the medical alert system has been installed and activated, the complaint stated. In reality, the defendants started charging consumers who agreed to receive the system immediately, regardless of whether the system had been activated or not. According to the joint agency complaint, the defendants violated the FTC Act, the Commission’s Telemarketing Sales Rule (TSR), and Florida’s Deceptive and Unfair Trade Practices Act (FDUTPA). The defendants include: 1) Worldwide Info Services, Inc., also doing business as (d/b/a) The Credit Voice; 2) Elite Information Solutions Inc., also d/b/a The Credit Voice; 3) Absolute Solutions Group Inc, also d/b/a The Credit Voice; 4) Global Interactive Technologies, Inc., also d/b/a The Credit Voice Inc.; 5) Global Service Providers, Inc.; 6) The Credit Voice, Inc, also d/b/a TCV; 7) Live Agent Response 1 LLC, also d/b/a LAR; 8) Arcagen, Inc., also d/b/a ARI; 9) American Innovative Concepts, Inc.; 10) Unique Information Services Inc.; 11) Michael Hilgar; 12) Gary Martin; and 13) Joseph Settecase.